Scarce HOF card, these hardly ever come to market. 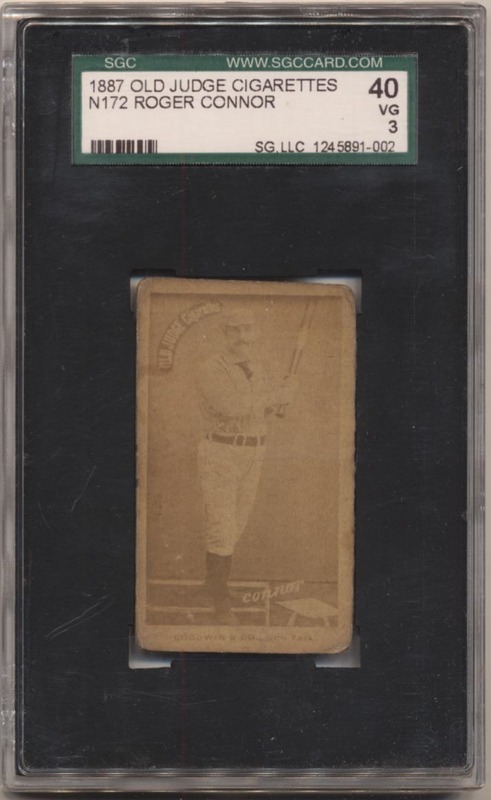 This style is one of the most desirable in the entire Old Judge set and is revered by advanced collectors. The image is admittedly light, but the card has no creases, consistent corner wear and a respectable reverse. How often do these come around?